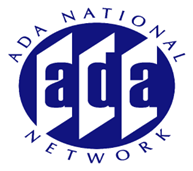 Gian has worked in the accessibility industry since 1998 and consulted on the development of the first Level AAA accessible web site in Australia (Disability Information Victoria). She has worked with the Disability Services arm of the Victorian Government for over thirteen years to keep the four iterations of the Disability Services site (Disability Information Victoria, Disability Services, Disability Online and DiVine), Level AAA accessible. She ran the accessibility consultancy PurpleTop from 2000 to 2005 and built the accessibility tool, PurpleCop. Gian Wild spent seven years on the W3C Web Content Accessibility Guidelines Working Group, the W3C Evaluation and Repair Tools Working Group and the W3C Authoring Tools Accessibility Guidelines Working Group. She spent six years contributing to the development of WCAG2.